You may need to know how to file for bankruptcy if you are at the end of your rope trying to pay off your credit card debt and the money you owe to other lenders. If you've tried the full gamut of debt management strategies, including counseling, consolidation, settlement and other re-payment options, bankruptcy may be your last available option for recovery. 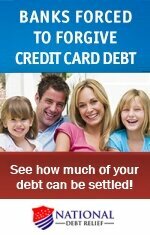 Bankruptcy is a legal debt-repayment or forgiveness process that allows you to emerge debt-free after a significant time. Declaring bankruptcy may be unpleasant, but millions of people find it necessary in order to rid themselves of debilitating debt. Filing bankruptcy will stop nagging phone calls from collection agencies and, more importantly, can stop a foreclosure or other repossession process. Even though filing for bankruptcy may be a scary proposition, you should consider it if you have exhausted all your other options. Over time, it is possible to regain your credit following a bankruptcy, if you start anew and use prudent financial habits moving forward. While not required by law, you may want to hire a lawyer who can help you with bankruptcy filing. You can find an attorney through referrals from friends or look online. An attorney will meet with you, listen to your story, hear your concerns, and offer advice. A good bankruptcy lawyer will know how to file for bankruptcy if you do not wish to do it yourself. In the United States, you will file under the U.S. Bankruptcy Code. You must meet certain eligibility requirements, including US residency (you must file in the court that presides over the area you live in). 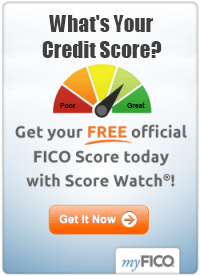 You also must be willing to take credit counseling prior to filing for bankruptcy. Next, you must determine which type of bankruptcy best meets your needs. Generally, you will file either Chapter 7 or Chapter 13 bankruptcy. There are other kinds but most individuals fall within those categories. Chapter 7 bankruptcies are used most often for unsecured debt, such as your credit or department store cards, medical or utility bills, and personal loans. Chapter 13 bankruptcies may be used if you are facing foreclosure or repossession of your automobile. This type of bankruptcy usually involves a repayment plan that may last for up to 5 years. If you decide you don't want to incur the cost of hiring a lawyer to help you, it is key to do your research and learn everything you can about how to file for bankruptcy. You should know that it could be difficult to represent yourself in court. Bankruptcy law is very technical and mistakes can cost you time and money. If you fail to file required documents, the judge may dismiss your case. If that happens, you will have to pay your creditors. When you go to file your paperwork, you will be required to list all of your property and your debts. If you fail to list someone you owe money to, he or she may not be made a part of the bankruptcy. If that happens, you will have to pay the full amount you owe that person or company. Additionally, you must be completely honest on the forms. A judge will dismiss the bankruptcy if he learns you have lied or otherwise been dishonest. Do not put false information on your paperwork or otherwise endanger your case. If you knowingly put false information on your paperwork, this is considered fraud and is a serious crime. Most bankruptcy courts require credit counseling. According to the US Bankruptcy Court website, you likely will have to attend credit counseling sessions with an approved provider. This must be done within 180 days of filing a case. You will have to file statements claiming you have complied with this requirement or the case may be dismissed. For additional detailed legal information on how to file for bankruptcy, check the United States Courts website at http://www.uscourts.gov and look in the bankruptcy section. In addition, you will find more helpful articles and tips below.